Who is Theodore Us? : Wargs! It's been a while. Sorry for my lack of posts. Hobby stuff has been slow recently, although I've managed a few games of X Wing, including trying it out on Vassal. My Rebel Transport arrived on Friday. The model is fantastic and the rules look great. I managed to get an epic game at Garrison on Wednesday, although we were too ambitious about the game size and didn't finish it. However, the X Wing pilots are excellent. 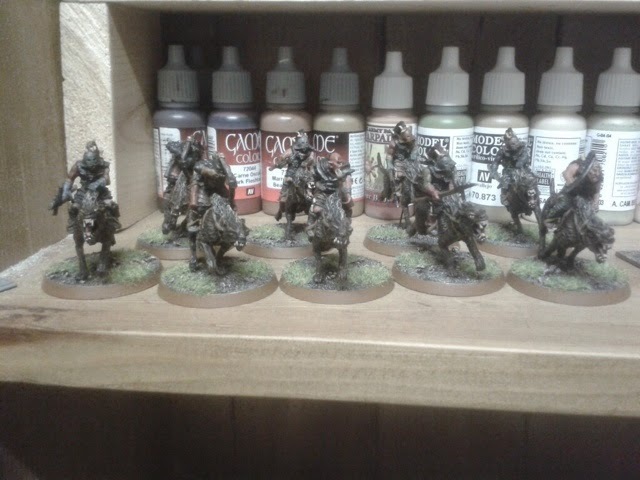 In LOTR I've finished up Sharku and 9 warg riders. The metal warg riders are great sculpts, although there are loads of odd bits on their backs that I wasn't sure how to paint as I didn't know what they were! 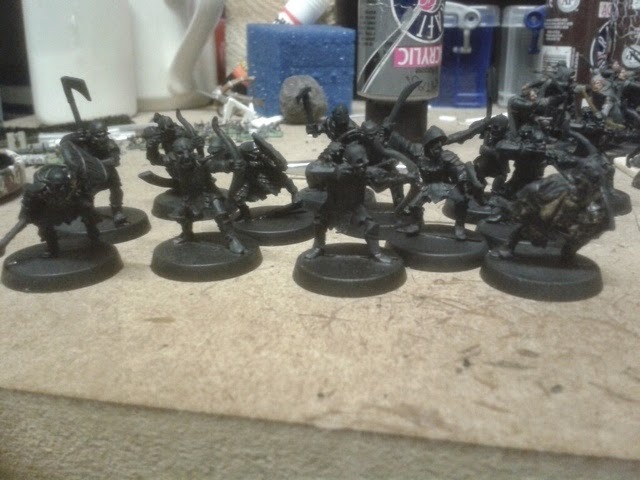 My next project is the old metal orcs. These were amazing models and it is a real shame they have been discontinued. They have so much character and look like a right mob. This coming weekend is the Triples show in Sheffield. I'll try and get some photos. Anyways, the painting looks nice, although the image quality is nearing the quality of the pics I normally upload, hehe! Thanks Llama. Sorry about the image quality, I forgot to wipe the lens on my phone. Doh! To answer your question about the orcs, yes they were collected over several years of eBay auctions. I'm still missing 2 of the poses, but it felt the right time to paint them. Ah, it was the old bay of e:s, then! Thanks Scott, also good to know it' snot just me who thinks they are a bit odd. I'm looking forward to seeing yours painted up. I guess it will be when you and Chris get to the Two Towers scenarios!